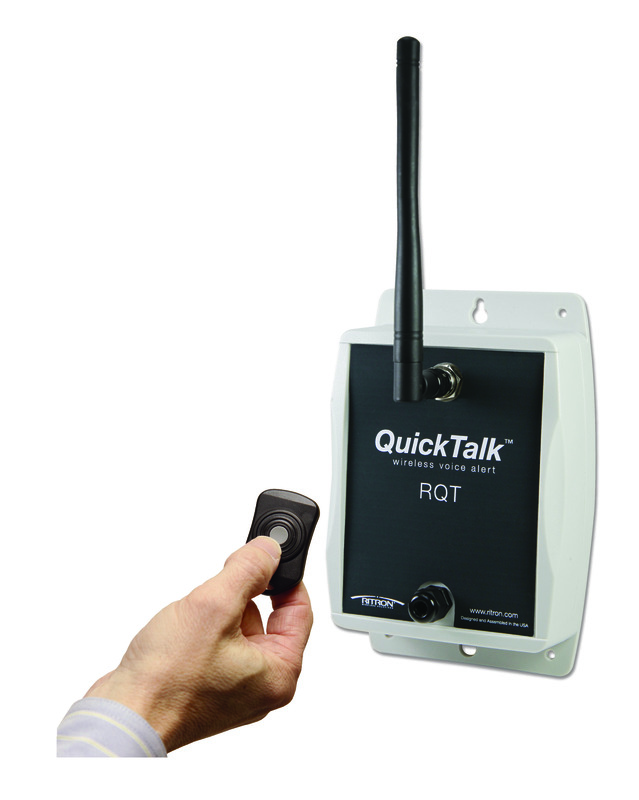 The Quick Assist® wireless call button is a fast and easy way for retailers to boost customer service, control costs and improve employee efficiency. Stand-alone and battery powered, no wires and no Wi-Fi or IT infrastructure needed. Simply push a button for assistance and associates are instantly and directly alerted with a customized voice message on their 2-way radio. 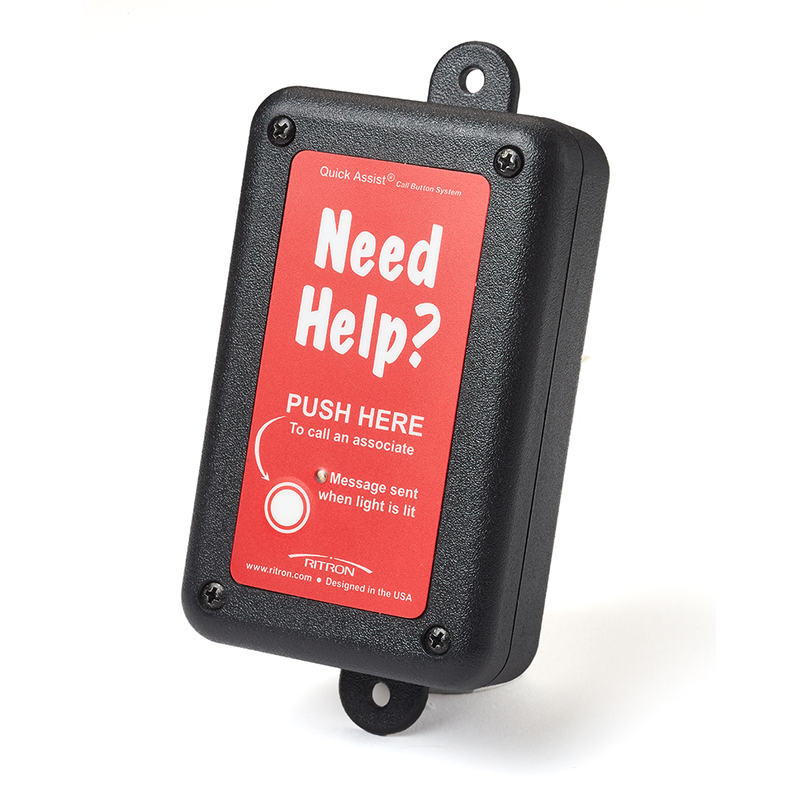 The Quick Assist® wireless shopper call button provides a low-cost, fast and efficient way to boost customer service, control costs and improve employee productivity. 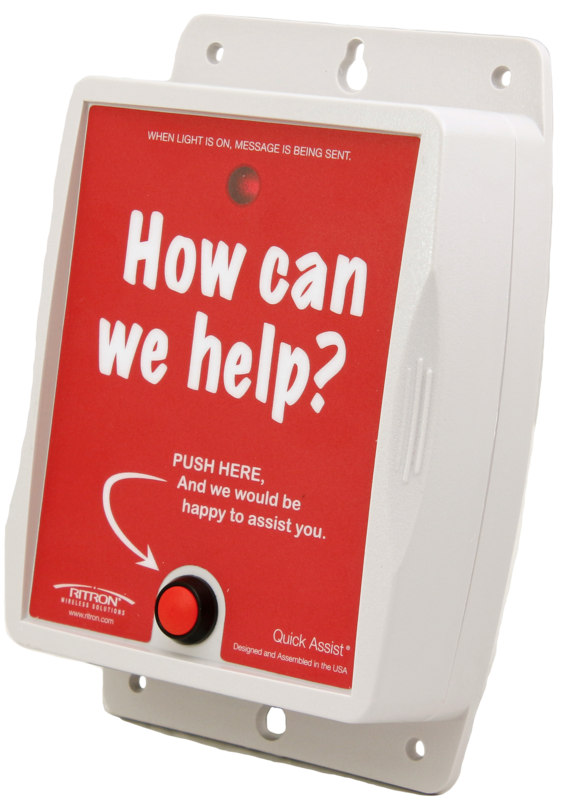 Wireless, battery-powered call button allows customers and staff to call for assistance. "Assistance Needed" message is instantly and discretely transmitted to all radio-equipped associates. Easy install, no wires, no PA pollution. 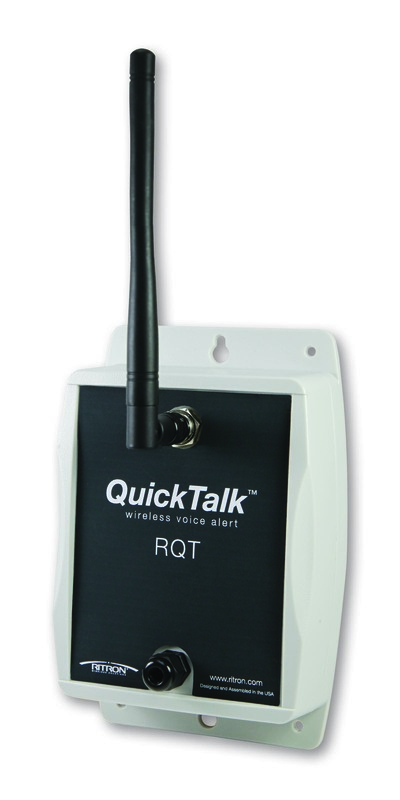 Send a pre-recorded voice alert to all your portable radios with a compact key FOB transmitter or wireless button. Can be used for emergency and non-emergency applications. Ideal for use in healthcare facilities, assisted living, hospitals, schools, courtrooms, retail and hospitality / hotel markets. Monitor virtually any sensor, switch or process 24/7 over your 2-way radio system. Wireless alerting empowers your staff to respond to emergencies more quickly.